Einstein’s General Theory of Relativity (GTR) had predicted that the universe was either expanding or contracting. Einstein found the notion of a beginning to the universe so distasteful that he introduced a “fudge factor” to his field equation to keep a Steady State universe, an eternal equilibrium. Einstein introduced a term called the cosmological constant. The cosmological constant was a force so weak, which factored into the geometric curvature of space, that it would make no difference on an eternal universe. 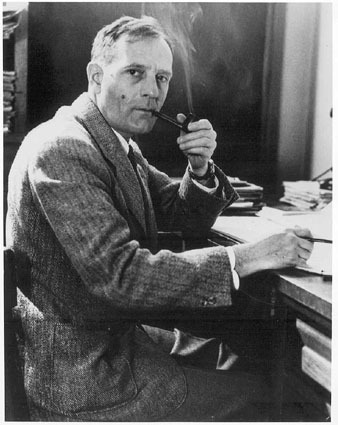 In the 1920’s Edwin Hubble was studying the Andromeda nebula. At least since the time of Kant scientists wondered what these distant enormous objects were (galaxies). Kant conjectured that they might be island universes in their own right. With further study, Hubble noticed that these galaxies had a red shift; the galaxies were appearing redder than they should have and Hubble postulated that these galaxies were moving away from one another. What was being observed was the same thing that the Doppler effect has on sound. The trajectory of an object has an effect on the wavelength of the sound, or in this case, light. As a result of Hubble’s discovery and Einstein’s own equations the Russian mathematician Alexander Friedman and the Belgian priest and physicist Georges Édouard Lemaître suggested that the universe had a finite past and was not static and eternal. There was now a problem with the cosmological constant; it cannot simply be deleted from Einstein’s equations. The cosmological constant could balance the equation from describing the geometric curvature (left hand side of the equation) to describing the energy momentum (right hand side of the equation). If this expansion is extrapolated the equations of motion then (and even now) can only go but so far—until the universe comes to a singularity. With reluctance Einstein conceded the steady state model in the late 1920’s, though many scientists would not accept the implications of an expanding universe (its finitude). One critic, Fred Hoyle, dubbed such an event the “Big Bang” in mockery and the name stuck. Regarding a fictitious history of the universe, the argument states that all present light, which appears to be billions of light years away, was created in transit with an appearance of age. So, when supernovae exploding in a galaxy millions or billions of light years away, the young-earth creationist [advocate of a fictitious history] must adopt the approach that no supernovae ever exploded. Einstein and the scientific theologian’s epistemic method reject such an interpretation. Einstein’s method of inquiry based the natural order as having an ontological status of genuine reality and the discoveries are made a posteriori; no such method of inquiry is tenable under a fictitious history. Einstein’s epistemology has influenced Big Bang theists and scientific theologians regarding GTR and the objectivity of the natural order. It appears, objectively, that the universe really is billions of years old. The second argument was a denial that the speed of light has been a constant [approximately] 300,000 km/s. As previously discussed, Einstein’s E=mc2 states that energy is proportional to the mass of an object multiplied by the speed of light squared. If c decays then that would imply that there has been a change in the quantity of energy in the universe. This creates a problem for thermodynamics. Thermodynamics would not be the only problem; many other constants would need to change as well to preserve the stability of a life-permitting cosmos such as Planck’s constant h (h-bar). Suddenly the objection is not only with c because that would in turn change all of physics. All of this would be done to circumvent an old universe suggested by a constant speed of light. Before Einstein’s relativity theories, this would not have been a problem for the young-earth creationist. The third foremost-misconstrued aspect of Einstein’s equations by natural theologians has been to misinterpret GTR and time dilation. The mathematics of this theory shows that while God makes the universe in six days in the earth’s reference frame (“Earth Standard Time”), the light has ample time in the extra-terrestrial reference frame to travel the required distances. The problem with this theory is that there are mathematical errors in its use of Einstein’s GTR. One misunderstanding is the theory’s use of the Cosmological Principle. It wrongly assumes that the long-time-scale implications of Big Bang cosmology are crucially dependent on the global validity of the principle and that the relaxation of this assumption, through the introduction of a boundary to the matter of the universe, produces dramatic differences in the gravitational properties of the universe. A second misunderstanding is the nature of time. The theory wrongly affirms that the physical clock synchronization properties, which occur in the standard Big Bang model are due to the boundary conditions implied by the Cosmological Principle and that modification of these boundary conditions can change the way physical clocks behave. Clocks in either our bounded or unbounded universe will behave exactly the same way whether on earth or at a distant galaxy provided there are identical interior matter distributions. The third misunderstanding to be discussed is how GTR relates to event horizons (the point where escaping a mass’s gravity becomes impossible). The theory wrongly affirms that observers who pass through event horizons observe dramatic changes in the rate of time passage in distant parts of the universe when it is the case that no such changes occur. Einstein’s impact on young-earth creationism has been profound and, arguably, has overthrown the tenability of young-earth creationism altogether. Einstein’s impact on natural theology has not been completely negative, as in the case for young-earth creationists, but for scientific theologians [and old-earth creationists] he has been a catalyst for epistemic and religious advances. It is important to understand that as a GTR-based theory, the model does not describe the expansion of the material content of the universe into preexisting, Newtonian space, but rather the expansion of space itself. The standard Big Bang model, as the Friedman-Lemaître model came to be called, thus described a universe that is not eternal in the past, but which came into being a g finite time ago. Moreover, the origin it posits is an absolute origin ex nihilo. Christian theologians and philosophers already had arguments for a beginning of the universe based on necessity, contingency, and the concept of an actual infinite, but Einstein’s equations, which led the Standard Model, gave a mathematical and physical description of the universe that supported the Christian doctrine of creation. The metaphysical concept of creatio ex nihilo now had empirical evidence. Guillermo Gonzalez and Jay Wesley Richards. The Privileged Planet: How Our Place in the Cosmos Is Designed for Discovery (Washington, DC: Regnery, 2004), 171. Natural theology supposes that the belief in God must rest upon an evidential basis. Belief in God is thus not a properly basic belief. Through the development of Einstein’s work, natural theology was undergoing barrage of attack from theologians such as Karl Barth. Barth’s polemic against natural theology can be seen as a principled attempt to safeguard the integrity of divine revelation against human attempts to construct their own notions of God, or undermine the necessity of revelation. Alister E. McGrath, The Science of God: An Introduction to Scientific Theology (Grand Rapids, MI: Eerdmans, 2004), 81-82. It is worth noting that space itself can travel faster than the speed of light, Einstein’s STR permits this. It is expected that space begin to exceed this cosmic speed limit relatively soon. William Dembski, The End of Christianity (Nashville, TN: B&H, 2009), 65. Young-earth creationists have an epistemic method that begins with the Bible and shapes the rest of nature and science according to that specific interpretation rendered. Their conclusion is that the six days of creation are a literal 24-hour day period and the universe is roughly six to ten thousand years old. These are the three primary approaches as they relate to Einstein’s work. Young-earth creationists have certainly developed scores of other arguments, but these are the most relevant and most cited. D. Russell Humphreys, Starlight and Time: Solving the Puzzle of Distant Starlight in a Young Universe (Green Forest, AR: Master, 1994), 37 quoted in Dembski, 65. There are models consistent with a 13.7 billion year old universe that suggests a change in the speed of light. Recent varying-speed-of-light (VSL) theories have been suggested as a possible alternative to cosmic inflation for solving the horizon problem, the problem of causality over long distances in initial inflation, suggesting that the speed of light was once much greater. This is not a popular view since it is difficult to construct explicit models permitting such a suitable variation. Other constants have been suggested to change (a theory of varying fundamental constants) in part due to superstring theory and eternal inflation. Even so with these theories and cosmic models, there are still more-fundamental (in contrast to varying) constants in the parent universes (preceding universes in the multiverse models). Even with a theory of varying fundamental constants Einstein’s equations [of STR] still stand in such models. Andrew R. Liddle, and Jon Loveday, The Oxford Companion to Cosmology (Oxford: Oxford University Press, 2009), 316. Samuel R. Conner and Don N. Page, “Starlight and time is the Big Bang,” CEN Technical Journal 12 no. 2 (1998): 174. In Conner and Page’s response to young-earth creationism’s cosmology they assume five mathematical and methodological points. (1) GTR is an accurate description of gravity. (2) Gravity is the most important force acting over cosmologically large distances, so that the conventional application of GTR to cosmology is valid. (3) The fundamental parameters of nature, such as the gravitational constant G and the speed of light c, are invariant over the observable history of the universe. 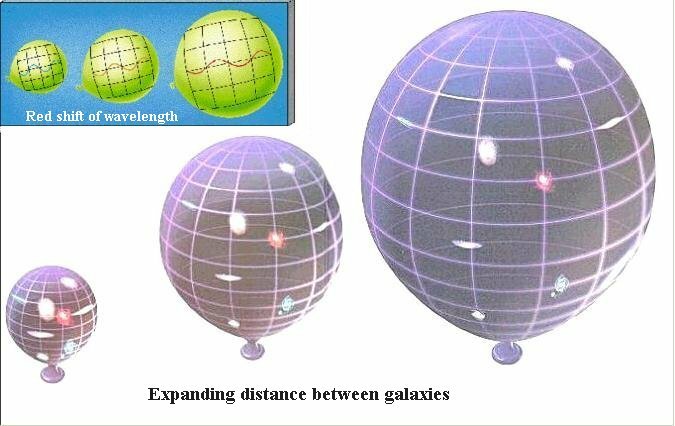 (4) The visible region of the universe is approximately homogenous and isotropic on large distance scales. Lastly, (5) the events which we witness by the light of distant galaxies and quasi-stellar objects are real events and not appearances impressed onto the universe by the intention of the Creator. Ibid, 175. The first two assumptions directly reinforce Einstein’s GTR equations. The third assumption, as previously discussed, relates to Einstein’s STR equations. The fourth assumption relates to the balancing of Einstein’s field equations and its adjustment after Hubble’s discovery of expansion. The final assumption relates to Einstein’s epistemic method of reality having real ontological value in an epistemic inquiry. Paul Copan and William Lane Craig, Creation Out of Nothing: A Biblical, Philosophical, and Scientific Exploration (Leicester, England: Apollos, 2004), 222-223. These efforts were predominately made by scientists and not theologians. Such landmark works were Ian Barbour’s Issues in Science and Religion (1966) and later Paul Davies’ God and the New Physics (1983). Rodney Stark, For the Glory of God: How Monotheism Led to Reformations, Science, Witch-Hunts, and the End of Slavery (Princeton, NJ: Princeton University Press, 2003), 197. Albert Einstein, Ideas and Opinions, Trans. and rev. Sonja Bargmann (New York: Three Rivers, 1982), 46. Stark, 197. Valla’s logic for scientific discovery was the art of finding out things rather than merely the art of drawing distinctions and connecting them together. He called for an active inquiry (activa inquisitio). John Calvin (1509-1564) applied this method to the interpretation of Scripture and thus became the father of modern biblical exegesis and interpretation. Francis Bacon (1561-1626) applied it to the interpretation of the books of nature, as well as to the books of God, and became the father of modern empirical science. This methodology created a split between subject and object, knowing and being, and gave rise to phenomenalism. Newton claimed that he invented no hypotheses but deduced them from observations produced rationalistic positivism, which engulfed contemporary European science. This split’s gulf was widened by David Hume’s (1711-1776) criticism of causality, depriving science of any valid foundation in necessary connections obtaining between actual events and of leaving it with nothing more reliable than habits of mind rooted in association. Hume weighed heavy in Immanuel Kant’s (1724-1804) philosophical development. Given the Newtonian understanding of space and time, Kant transferred absolute space and time from the divine sensorium to the mind of man (the transfer of the inertial system), thus intellect does not draw its laws out of nature but imposes its laws upon nature. According to Kant one cannot know the Ding an Sich (thing itself) by pure reason; one is therefore limited to the sensual and shaping mental categories of the mind. That which comes through sensation the intuitions are shaped by the mind’s a priori categories. It is in this sense that Kant played an essential part in the development of the idea that man is himself the creator of the scientific world. Throughout Einstein’s work, the mechanistic universe proved unsatisfactory. This was made evident after the discovery of the electromagnetic field and the failure of Newtonian physics to account for it in mechanistic concepts. Then came the discovery of four-dimensional geometry and with it the realization that the geometrical structures of Newtonian physics could not be detached from changes in space and time with which field theory operated. Einstein stepped back into stride with Newton and his cognitive instrument of free invention. It was free in the sense that conclusions were not reached under logical control from fixed premises, and it was invented under the pressure of the nature of the universe upon the intuitive apprehension of it. Einstein used Newton and Maxwell’s partial differential equations in field theory to develop a mode of rationality called mathematical invariance. Mathematical invariance established a genuine ontology in which the subject grips with objective structures and intrinsic intelligibility of the universe. Einstein’s categories are not some form of Kantian a priori but conceptions that are freely invented and are to be judged by their usefulness, their ability to advance the intelligibility of the world, which is dependent of the observer. As he sees it, the difference between his own thinking and Kant’s is on just this point: Einstein understands the categories as free inventions rather than as unalterable (conditioned by the nature of the understanding). Einstein asserts that the real in physics is to be taken as a type of program, to which one is not forced to cling a priori. Principles of method are closely related to empirical observations. As Einstein put it, “the scientist has to worm these general principles out of nature by perceiving in comprehensive complexes of empirical facts certain general features which permit of precise formulation.” These principles, not “isolated general laws abstracted from experience” or “separate results from empirical research,” provide the basis of deductive reasoning. There is a long tradition within Christian theology of drawing on intellectual resources outside the Christian tradition as a means of developing a theological vision. This approach is often referred to by the Latin phrase ancilla theologiae (a ‘handmaid of theology’). The evolution of thought and method from Newton to Einstein vitalized scientific theology. Scientific theology argues that the working methods and assumptions of the natural sciences represent the best—or the natural—dialogue partner for Christian theology. Here too logico-deductive argumentation from static concepts and mechanistic systems are rejected. There is another reorientation of man’s knowledge leaving epistemic and cosmological dualism behind in operations that have to do with the unity of form and being. Scientific theology is concerned with the discovery of appropriate modes of rationality or cognitive instruments with which to enter into the heart of religious experience, and therefore with the development of axiomatic concepts with which to allow interior principles to be disclosed, and in that light to understand the rational structure of the whole field of God’s interaction with man and the world. Scientific theology takes Einstein’s knowing and being and his understanding of reality as a whole and applies this method of theology in Christian theology. If the world is indeed the creation of God, then there is an ontological ground for a theological engagement with the natural sciences. It is not an arbitrary engagement, which regresses back to Newtonian engagement, but it is a natural dialogue, grounded in the fundamental belief that the God about whom Christian theology speaks is the same God who created the world that the natural sciences investigate. Thomas F. Torrance, “Einstein and Scientific Theology,” Religious Studies 8 no. 3 (1972): 236-237. Valla served in conjunction with Andrea Alciati (1492-1550) as Calvin’s primary influence for his biblical interpretation. Donna Teevan, “Albert Einstein and Bernard Lonergan on Empirical Method,” Zygon 37 no. 4 (2002): 875-876. Albert Einstein, Ideas and Opinions, Trans. and rev. Sonja Bargmann (New York: Three Rivers, 1982), 221. Alister E. McGrath, The Science of God (Grand Rapids, MI: Eerdmans, 2004), 18-19. There are five distinct classes of things—time, space, matter, energy, and the things relating to conscious life—form with their combinations the known universe. The fifth class must, like the previous, be permanent in quantity, variable in form, and cannot be destroyed. This may be simply labeled as “spirit.” In natural science dialogues, this element is often referred to as “God,” though it does not necessarily carry the theological meanings with it. This, perhaps, is the sense in which Einstein meant the term “God.” T. Proctor Hall, “Scientific Theology,” Monist 23 (1913): 95. Both the natural sciences and Christian theology are to engage with the nature of reality—not deciding this in advance, but exploring and establishing it through a process of discovery and encounter. McGrath, The Science of God, 21-22.